If it wasn't for one Swiss-made invention, the PANArt Hang, this website would not exist. None of us would be playing Hang, or HandPan, or dreaming of one day playing them. I wouldn't be here writing my little posts, and you would not be reading them. The festivals, and gatherings would not take place. Viktor Levinson would not be hammering steel out in Russia, and Manu Delago, would not have toured with Bjork. All of these things simply, would not have happened. If it weren’t for Felix, and Sabina, two steel pan tuners, and inventors, from Switzerland. (1) The Electric Toothbrush - If it wasn't for our friends in Switzerland, none of us would have the option of going high-tech on our gnashers. There would be 'no advanced sonic power cleaning systems', reaching the areas of your mouth that a regular toothbrush just can't. And like a cave-man, with a stick, you'd be back to cleaning manually. 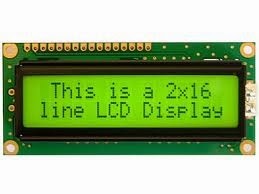 (2) LCD Displays - If you're a fan of old-school calculator watches, and microwave ovens (among many many other things), then you have good reason to thank the Swiss for inventing the 'LCD Display' (or 'Liquid Crystal Display'). (3) Helvetica Font - In tribute to the Swiss, for this post, and this post only, we've switched from, 'Arial', to 'Helvetica', and actually, it does not look a whole lot different. A popular sans-serif typeface developed in 1957 by designer, 'Max Miedinger', Helvetica has been used in the logos of: Jeep, Microsoft, Mc'Donalds, and Texaco (to name a few). (4) Velcro - The perfect invention for people of all ages who have yet to master the trickeries of tying their own shoe-laces. A 'hook and loop' fabric fastener, Velcro was invented in 1948 by Swiss engineer, 'George de Mestral'. And as the name, 'Hang drum', has to some degree been adopted as a name for all Hang-like instruments, aka 'Handpan', in the wider world (rather than just those produced by PANArt), Despite Velcro being the name of a particular 'brand', it is often the name used to describe any hook and loop fastener of a similar nature. (5) Cellophane - Hard to think of anything particularly interesting to say about cellophane offhand - but that is primarily because its uses are so varied, and abundant. You can wrap your sandwiches in it, jobs a good'un! (6) Aluminium Foil - Perfect for hat-making crazies, and like cellophane above, also quite handy for wrapping your sandwiches in, aluminium foil, replaced 'tin foil' (which left an undesirable taste to foods) back in 1910. In addition to food preparation, and keeping the government out of your head, aluminium foil is also used in electromagnetic shielding, insulation, and geochemical sampling. (7) Toblerone - As a child growing up in the UK, Toblerone seemed very much to be a Christmas favourite - you wouldn't see a bar on the shelves all year long, and then suddenly, shops (and then later, Christmas stockings) would be full of bars the size of tactical rifles. A heavenly-tasting triangular-shaped bar fusing chocolate with nougat, almonds, and honey, Toblerone, like the Hang, is a product of Bern. (8) Bobsleigh - Without the Swiss there would be no bobsleigh, and without bobsleigh there would be no, 'Cool Runnings' (beloved 90's comedy movie following the adventures of the Jamaican bobsleigh team, starring John Candy. Bobsleigh is a winter sport in which teams of two or four make timed runs down narrow, twisting, banked, iced tracks in a gravity-powered sled - aiming for the best times. And the very first bobsleigh tracks were constructed in St. Moritz, Switzerland. (attributed to the wormwood flowers and leaves used in its production). 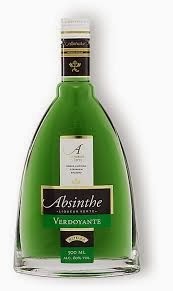 Highly alcoholic, being as strong as 148 proof (74% ABV), those who have favoured this murky green liqueur, have included: Ernest Hemingway, Aleister Crowley, and Vincent van Gogh (who supposedly cut off part of one ear, while drinking the stuff). (10) The Swiss Army Knife - Arguably the most iconic Swiss invention ever, the Swiss army knife, traditionally being red and featuring a white cross (borrowing from the countries national flag), is an invention that wears its origins on its chest. A multi-tooled pocket knife, they were originally used by Swiss-German soldiers, during World War II, and in addition to a blade that conveniently tucks away inside the handle, the Swiss army knife also features such gadgetry, as screwdrivers, and can openers (with more modern additions including laser pointers, and USB sticks).